Cannabis, also known as marijuana, is known to be one of the most abused drugs in the world. Some people think since it is legal, it must be safe. But the body doesn’t know the difference between a legal and illegal drug. It only knows effects that the drug produces once it is ingested. Commonly known as the pot or weed, cannabis is called by different names in different countries. 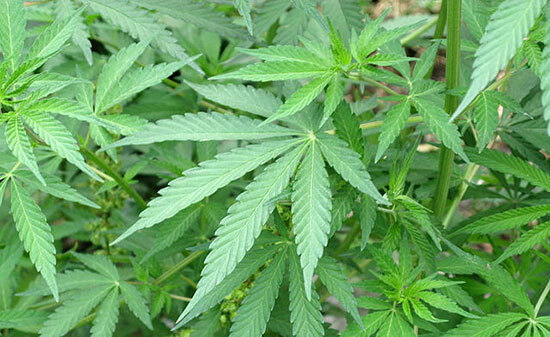 Marijuana comes from the Indian hemp, with flowers constituting the major chunk of the drug, especially the buds. Seeds, stem and leaves of the plant also contains some amount of marijuana. It is sold as a mixture of dried leaves, flowers, stems and seeds of the hemp plant. The colour of the substance is green, grey or brown. Cannabis has been used since time immemorial for producing hemp fibre, hemp oils as well as for medicinal and recreational purposes. Cannabis plants are also used for raising industrial hemp, which produce large quantities of fiber in comparison to cotton. Other compounds mined from cannabis plant include hash oil and hashish. Like marijuana, hashish also gives out sweet odour, but hashish is black or brown, tan resin which is dried and pressed into balls, bars or sticks. Though marijuana is illegal in many states of the US as well as rest of the world, recently there has been push to use marijuana legitimately. In 2013, nearly 60,400 kilograms of cannabis were produced legally and there were estimated 128-232 million cannabis users i.e. 2.7% to 4.9% of global population in the age group of 15 to 65 years in the same year. The percent of population and the production quantity hasn’t changed since 1998 and remained static till 2014. Hemp or industrial hemp is found in northern hemisphere. A variant of Cannabis Sativa plant species, hemp is grown for industrial use of its derivatives. Hemp is one of the fastest growing plant species and has been one of the first plants that was spun into fiber around 10,000 years ago. Hemp finds use in developing finished commercial products such as textiles, paper, paint, bio-fuel, food, biodegradable plastics, insulation, and animal feed. While cannabis (as a drug) and industrial hemp are derived from Cannabis sativa species and have tetrahydrocannabinol (THC), they have distinct strains with unique uses and phytochemical compositions. Hemp has lower-concentrate of THC and higher concentrate of cannabidiol (CBD). There is an assumption that hemp was not spread in different societies until it was used as a psychoactive drug, which is not true especially when weighed with various archeological facts. Different uses of hemp has been shown in the past, like when oxidized hemp oil becomes solid, it can be used for oil-based paints, creams and moisturizers, as oil for cooking and in plastics products also. Just like animals, Plants also have traits that protect them out in the wild and they too can camouflage themselves from their predators, or can contain toxins that can make animals ill and alter the mental capacity. THC is one of the protective mechanism of the cannabis plant. Ingestion of cannabis leads to intoxication in a person. Intoxication means having markedly diminished mental or physical control largely due to the effect of alcohol or drugs. 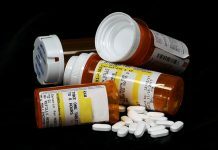 Intoxicating substances ultimately creates addiction and dependence among its users, who crave more of the substance despite knowing the harm being caused by it. Marijuana also contains CBD apart from the THC. CBD (cannibidiol) is often used for medicinal purposes and unlike THC doesn’t cause a high. Plants with high CBD and low THC are generally used for medicinal purpose. One must have heard a lot of times that since marijuana plant is natural, it cannot be harmful, but it is otherwise in reality. Marijuana is just like hemlock, a plant which is natural, but has the ability to KILL. Inhaling smoke from dried leaves, buds and stems isn’t natural at all from any plants and is as harmful to the body as smoking cigarettes. Cannabis is a drug like cocaine, ecstasy and alcohol and like them cannabis also has side effects and causes harm to the body, mind and soul. Whatever said and done, cannabis is known with various nicknames to trick general public about its originality. There are hundreds of names that are used across the world, but a few are funny as well. Some of the these include “dro,” Alice B. Toklas, art supplies, Bubonic chronic, Loud, Wacky Tobaccy, coliflor tostao, Kine bud or Kind bud, Devil’s lettuce, Square Mackerel, Sticky Icky, Giggle smoke, Juan Valdez, Chocolope, Left-handed cigarettes, skywalker OG, Schwag, cabbage patch, yum-yum, nice-nice and good-good. None of those names let you think of marijuana or any such substance in the first place. Though the below list is endless, but many names have come in the market later or sooner than the old ones. These terms are spelt like saying silly things like toking, Cheching, blazing, poking, Smoking trees, blowing, chasing, biting one’s lips, burning one down, mowing the grass, firing one up, going loco, getting the wind, hitting the hay and torching up. Though silly, it’s how the act of smoking marijuana is said to disguise it from the unknown and nonusers. Mooking is another term used for smoking tobacco and marijuana together in the bowl of a pipe. The chemicals of tobacco and marijuana work on the nervous system and affect both the body and mind. To smoke a cannabis joint, users purchase dried buds of the plant, also referred as nuggets or flowers, and smoke it either through a pipe or a bigger apparatus, commonly referred as a bong. Users also roll up the marijuana in paper like a cigarette, or vaporize it in a small handheld device called a vape pen, which filters out some of the harsher elements. Besides using direct plant material from cannabis plant, oils extracted from cannabis is also used for smoking. These oils are very pure and highly potent, which gives an intense high. Two common variants of this is CO2 oil and BHO (Butane Hash Oil, also nicknamed as butter, wax, honeycomb or glass shatter depending on consistency). Smoking these would mean heating a special steel, glass or quartz nail and touching oil with the nail, which produces vapours and inhaling the resultant vapours. The common slang for this kind of smoking is called dabbing. The cannabis comes in form of food item such as brownies, cookies or lollipops. They are called edibles which do not have any slang terms, but are referred to as medicated or special. According to Arcview Market Research, the cannabis industry is growing fast in the US and is expected to grow at a compounded annual rate of nearly 30% over next few years, and touch sales of more than US$21 billion by 2020. Combining marijuana with other substances is again called by different slang names. Marijuana and Cocaine together is called bush, cocktail, chase, coco puff, jim jones, hooter, lace, basuco and banano. Marijuana combined with some kind of narcotic is called amp joint or dust. Marijuana and crack when taken together are butter, Buda, crack back, geek, fry daddy and juice joint. Marijuana and heroin is an atom bomb or a bomb, canade, brown, woo woo, woola or woolie. A lot of different terms originate from different cultures are spelt where marijuana is used. Different places like South-East Asia, Mexico and West Africa have different names. Certain regions where it is grown also influence the specific terms given for cannabis like Columbia and Canada. There are close to 1200 slang names related to cannabis. Why do we think that there are so many names for cannabis/pot? With any slang, the authorities become wise to what one term means and that is a signal that it is time for another one. People were bound to come up with different names/words. Creativity hasn’t waned even when US has moved to legalizing marijuana. One reason is that the illegality created the need for the new names and another reason is that it is not just hiding something from the adults or law, but it is simple fun. Some of the names given to cannbis due to its effects include amnesia, airplane, climb, doobie, good giggles, Houdini, spliff and reefer. Names like ace, baby and green goddess are given to cannabis since people like it. Besides these, people also tend to give names to cannabis since it is a plant. Some of these names include alfalfa, asparagus, bud, Christmas tree, grass, green and herb. Cannabis also gets slang names such as Aunt Mary, da kine, dona Juanita, ganja, marijuana, muggle, pot, rainy day woman because of the influence of different languages that is present in different region where it is sold. Cannabis also gets various slang terms simply due to shape of the cannabis joint, which include alligator cigarette, bag of bones, blunt and stogie among others. Lastly, quality of cannabis also plays a role in giving cannabis some of the nicknames and street names. These include cabbage, catnip, chronic, dank and Nixon. Some of the more common terms of cannabis include 420, dope, ganja, grass, pot, weed, herb, joint, mary jane, nuggets, charge, stinkweed, block, boo, chronic, gangster, rope, hay, tobacco, skunk, blaze, ashes, boom, burnie, and burrito. Geography of the also plays a big part in coining some of the common street names for cannabis. Some of these include Acapulco gold, Colombo, black Russian, indo, texas tea, panama gold, Maui Wowie, Mexican, and thai stick. Familiar cultural names for cannabis include Kif in North Africa, dagga in South Africa, Ganja in Jamica, mota in Spanish and pakalolo in Hawaiian language. Nicknames are also given based on the amount of marijuana given. These include Brick, Matchbox, Lid, Dime bag, Nickel bag and Quarter.